Self Defense Weapons Reviews, Tips, And Techniques. Quality Self Defense Weapons And What To Get Now! Finding self defense weapons for your particular needs depends on several factors. There is a different weapon for self defense for every situation you can think of. And it can get very confusing and difficult to decide what to get. Self defense guns are a very popular choice. Self defense pistols are the most common form of firearm. Self defense firearms require a license (in the USA). You should get private instruction on its use, go to a shooting range to get used to it, and buy various accessories to keep it safe, secure, and handy. A self defense handgun can cover many situations that may arise. However it's very lethal and you should understand the consequences of using a gun. The handgun above is a perfect example of a pistol that is small, lightweight, and fits in a handbag. But it's not just for women. 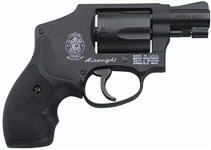 It's a Smith And Wesson 442, “Airweight”. It is reliable, and the cool thing about this particular self defense pistol is the hammer is made so that is it less likely to be caught up in something as you pull it out. Self defense knives are also a popular choice. There are all types of knives to choose from. Be sure to get a knife that will be easily accessible. However, it should be ready for immediate use, yet secure and safe so you don't hurt yourself or someone by accident. The KA-BAR knife is exceptional. It's very small, but deadly. But that's not the only one to consider. Martial arts weapons are a unique choice because you can use them without a fatal outcome (depending on the weapon and how it's used). But they require training to use. For example there are Nunchakus, and Escrima Sticks. A novice cannot wield these without hurting themselves. But if you master them, look out! 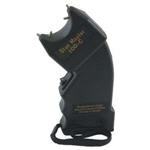 Stun guns are fast growing segment of the self defense weapons arena. They are effective, easy to use, and they are inexpensive. You should be well trained on the stun gun of your choice and make sure it's up to par. You don't want it malfunctioning when you need it most. Brass knuckles are an old school, yet still effective weapon. Many states have banned them so check your states laws. It's not for everyone but it works in close combat situations. It conceals easily and it might be a good supplement to another self defense weapon like a handgun, knife, or stun gun. Pepper spray is a good supplement and last resort. It's effective and inexpensive. I particularly like pepper spray guns. The problem with pepper spray is that if it's not used for a while it doesn't work well or at all so you have to keep changing your pepper spray (or change the cartridge). For the older generation, some of the above might be useful, but several others might be better for your situation. For example you can get a self defense cane. These are specially designed for combat, but you should be trained on its use. There are videos and classes to take. There are other weapons to use in conjunction or to replace the above. See below. Women can and should use any of the weapons mentioned here. But it also depends on your situation. If you are going out on the town, consider a lipstick pepper spray. If you are walking alone, consider carrying a self defense knife, gun, or stun gun. See our special article on women's self defense for more details. Read our articles and reviews on all these self defense weapons and more. And be sure to sign up for our quality ezine or new self defense tips, techniques, and new weapons. The best self defense weapons are listed here but the most effective weapons are those you want to handle. A pepper spray guide shows you where to get pepper spray and what types to consider for self defense. 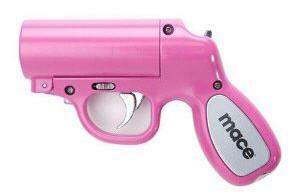 These self defense weapons for women are the newest and more common weapons for women. Top self defense weapons for men include guns but there are less lethal alternatives to consider like these. Here are the best self defense flashlights based upon quality reviews of each of the products. What self defense cane is right for you and tips on how to handle a cane for self defense situations. A range of self defense products are available for concealment while out, home defense, or hiking in the woods or mountains. Self defense training types and what may be the best instruction for your self protection as you conduct your daily activities. Effective self defense techniques require training and practice and some techniques can be lethal so you need to decide which ones are right for you. These non lethal self defense techniques will give you a chance at surviving or avoiding a dangerous situation. These simple self defense tips may help you get out of some very threatening situations that you may otherwise not have been able to handle. Practical elderly self defense begins with knowing your surroundings and be aware, but what if you need to defend yourself? What martial arts self defense styles will are best for various situations that require self defense. Common home self defense weapons and their advantages and dissadvantages so you can decide upon what home defense weapons is right for you. Basic legal self defense tips and ideas but you need to check your States laws and speak to an attorney to be certain about legal defense using weapons of any sort including any part of your body. Keep on top of self defense weapons and techniques for yourself, your family, your home, and your business. Would you like to share your knowledge about self defense weapons? Great, find out how you can submit your story or tip here.